Includes a DVD player, which plays most formats, including .JPEGs. 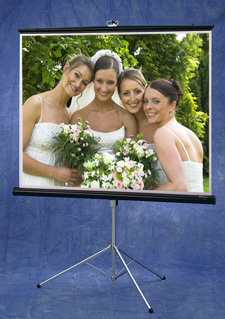 Simply burn your .JPEGs from your digital camera onto a CDR, for an instant slideshow! All for Just £120 per day, inc VAT. Refundable Security Deposit of £200 also required, subject to our normal T&Cs of hire. Please contact us for discounted, longer term, hire rates.